An attempted coup has taken place in Turkey. Military forces of a rebel faction have moved on Istanbul and Ankara (the official capital). Reports from Ankara say that the parliament building was surrounded and bombarded by rebels, while the rebels in Istanbul blocked off the Bosphorus bridge and used a rebel helicopter attacked and killed loyalist police. The rebel faction, during the first stages of the coup, had taken over a news centre, and broadcasted that they aimed to “reinstate constitutional order, human rights and freedoms”. Despite this, the rebels in Istanbul have met resistance from police, special forces, other loyalist military – including jets which reportedly shot down a rebel helicopter in Istanbul. The Mosques around Istanbul reportedly began sounding the Adhaan and urged the people to come onto the streets and oppose the rebels. Protestors poured onto the streets to oppose any Army units involved in the coup – many reportedly shouting “Allahu Akbar”. Erdogan quickly returned to Turkey from his holiday in marmaris via jet, arriving in Istanbul airport. He claims he survived an assassination plot there. Before arriving back in Turkey, he called on all Turks to come into the streets and repel the coup. Reports claim that rebel faction soldiers then entered any media centre that broadcasted Erdogan’s message, closing them down temporarily. Reports then came in that the centres were successfully retaken by loyalist police. Although there had been reports of some explosions and shooting, reports began to come in of many rebel faction soldiers in Istanbul surrendering their weapons to police and crowds of loyalist demonstrators. While there were reports of some demonstrators reportedly coming out to support the coup, many of the political opposition parties have now denounced (at least in public), the coup attempt. Loyalist warplanes appear to have bombed rebel tanks surrounding the parliament in Ankara, and the remaining rebel soldiers on Bosphorus bridge have surrendered. The Coup failed to motivate a mass defection from the army, nor gain significant public support. The coup appears to have failed, but tragically, at the loss of at least 47 civilians killed by rebel troops. It’s been hard to tell who exactly is behind the coup at the moment, but it appears to be a collection of organised mid-level officers – this may be due to many of the former high level officers having been changed by Erdogan years ago. Some are speculating that Fethullah Gülen may have been involved. 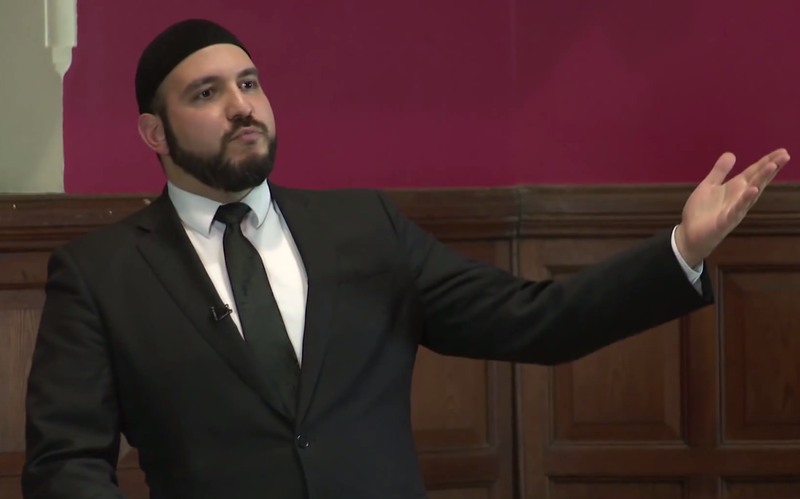 Although described as a ‘Preacher’, he supports Secularism, and is current residing in the US in Pennsylvania, under guarded protection from the US government. It is speculated that Gulen is being used by the USA as leverage into Turkish politics. Although Erdogan has built ties with many Western countries, and helped deliver their foreign policies in the region, many ‘old guard’ Turkish Kemalist Secularists and Secular Liberals, have become very distrustful of the ‘Islamic flavouring’ and Ottoman nostalgia of Erdogan’s presidency and the repeal of many strongly secular laws (similar to those in france) that limited Islamic practices. In turkish history, there have been four successful coups against governments perceived to be ‘threats’ to Turkey’s form of Secularism, Kemalism and U.S. interests. These occurred in 1960, 1971, 1980, and 1997. Of course, there is a strange historical precedent for this, as before the abolition of the Ottoman Caliphate, a group of Secular Western-influenced army officers called ‘The Young Turks’, managed to undertake a coup that removed Caliph Abdul Hamid 2nd in 1909. The remaining Caliphs after him were ineffectual and had their powers severely curtailed by them, putting the Ottoman state into an increasingly nationalist trajectory. Since 2002, there have been a number of attempts to prevent, shut down and depose the currently ruling AK party from government. In 2002, Kemalist prosecutors attempted to use the courts to shutdown the party and prevent it from competing in the national elections. This attempt was repeated in 2008 again on charges of ‘anti-secular activities’ – it failed by one vote (amongst the judges). In 2004, a coup attempt was reported uncovered in the planning stages, and in 2007 there was another coup attempt called ‘operation sledgehammer’ that was uncovered early before it could mobilise. As Egypt, 1990s Turkey, Algeria and Gaza found out, whenever elections bring to power a government not fully to the Secularists liking, they annul the elections, ‘democracy’ and constitutional law. And if no one in the country opposes the elected government, then external actors, like the Western secular states, sanction or pressure the country (e.g. Gaza). Other countries, like 1960s Iran and many South American countries during the cold war faced coups facilitated by direct Western intervention that led to the deposing of their elected governments, to be replaced with more pro-Western autocrats ). Clearly we have seen throughout recent history, many Secularists believe people’s choices and elections only should be respected as long as they serve Secularism, not the other way round.